Bitsy is an artist, painting is her favourite thing to do. her friends all have different passions but they are a tight group of friends and love to support each other. When Bitsy is asked to paint a mural for their favourite store ‘Petunia’s’, where they buy their much loved jelly beans from, Bisty decides to get all her friends to help. Once the others have painted their parts Bitsy goes to add her bit, but she can’t think of what to paint. 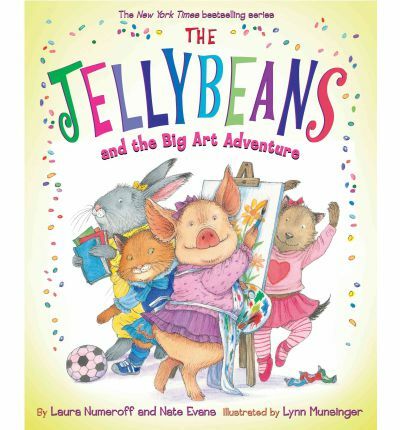 A really delightful story about differences, friendship and encouraging one another. The illustrations have a delightfully light hearted charm about them and the text is easy to understand. Together these components blend to give us a book that celebrates friendship and diversity. Truly delightful.